Dubai, United Arab Emirates (October 14, 2018) – CITIZEN, a name renowned for pioneering time-piece technology is marking its 100th anniversary this year, 2018, with the introduction of a limited edition special collection. The leading Japanese watch manufacturer, which for ten decades has ambitiously set the pace for others to follow, has produced a unique series of ladies’ and men’s watches, all of which share a striking common feature; an eye-catching gold and black dial ring. This distinctive and original addition signifies “the moment when light is transformed into time”, an expression defining the light-powered technology of Eco-Drive, which Citizen is very proud to have invented and which it continues to refine. Keiji Kato, General Manager of Citizen Watches, Gulf comments: “For over ten decades we have been the proud developers of original time-pieces that combine the most refined and knowledgeable craftsmanship coupled with the latest technological advancements. Our philosophy has always been focused on consistent improvement and a driven attitude; the belief that “Better Starts Now”. 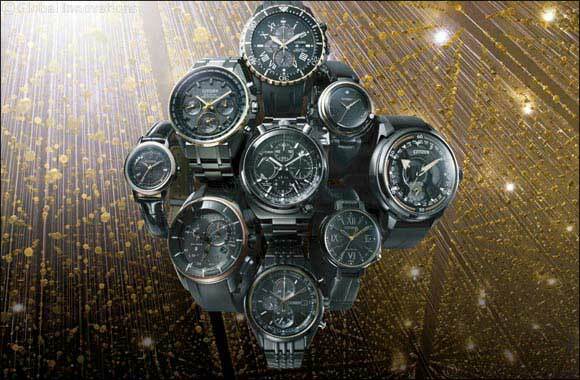 The Collection can be purchased from Citizen Exclusive stores across UAE.